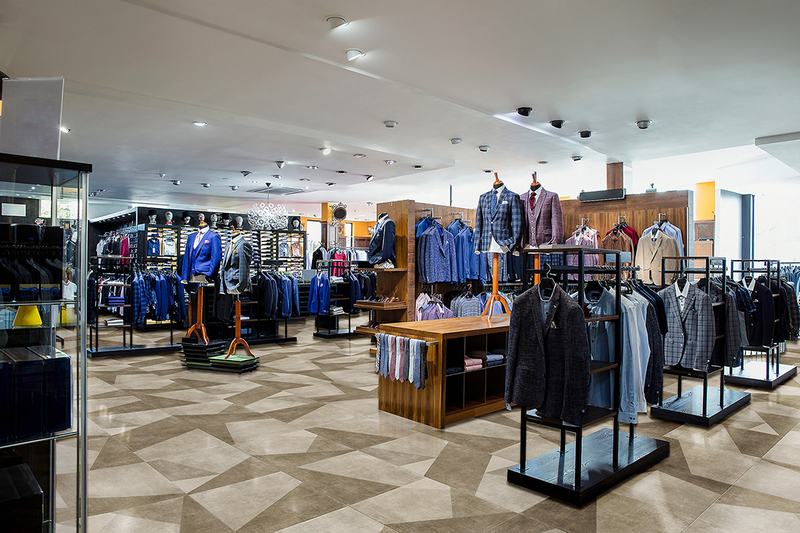 At Aspecta, we've built a reputation for some of the best styled commercial LVT (Luxury Vinyl Tile) floors engineered specifically for the contract commerical interiors market. Building on this reputation and furthering our committment to biophilically-driven designs, Aspecta will introduce the new Aspecta Tilt & Tones Collection for a planned launch in March 2019. Available in ISOCORE or dryback (glue down) construction, the latest LVT design breakthrough pairs four new geometrically and biophilically inspired Tilt tiles with the neutral Tones tile palette to achieve custom looks without the added cost and extended lead times normally associated with custom products. Designers and architects can choose from 4 different Tilt tiles and 2 Tones tiles in four separate color groups. By mixing and matching Tilt designs and Tones colors, contrast and impact can be easily achieved: creating seating areas, wayfinding, borders, or unique combinations of “field tile” all-over color (Tones) and with the graphic tiles (Tilt). Either stay within one color group, or create new combinations by intermixing Tones colors and Tilt patterns from other groups. Robert cross-referenced the profile colors used by contract office manufacturers to develop the Tilt and Tones flooring as a neutral background and foil for accent textiles, paint colors, furniture and office systems. 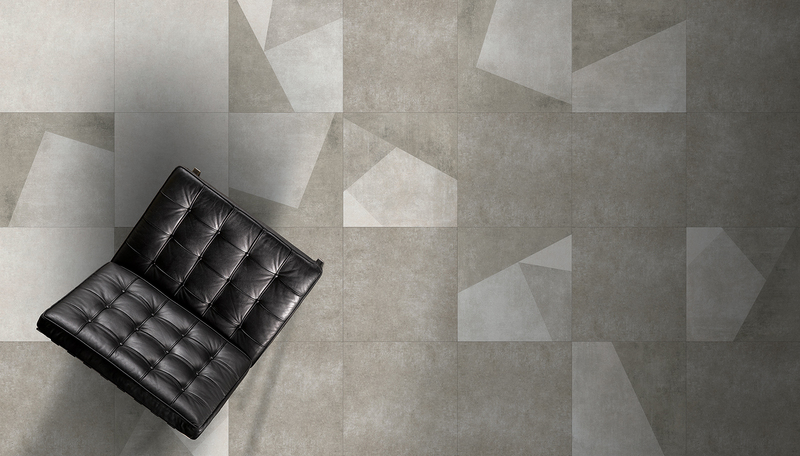 The stone quality of the design makes a versatile palette to achieve balance in a wide range of interiors. Beyond good looks and versatility, this exciting new collection delivers all the benefits of Aspecta's new high performance proprietary finish, Duraspect extreme surface protectant for the ultimate in abrasion resistance and stain repellency. Aspecta Tilt & Tones has been developed on two popular construction platforms, dry back and ISOCORE, to allow specifiers to choose the right construction for the application and to help meet budget requirements. Aspecta's multilayer expanded polymer core construction called ISOCORE Technology® is an extruded, closed-cell vinyl structural core that delivers rigidity and strength to the floating floor platform. Aspecta Tilt & Tones with ISOCORE Technology is 100% waterproof and provides sound insulating characteristics through its pre-attached acoustical underlayment. Aspecta Tilt & Tones in the dry back construction allows the floor to be glued down in situations where a floating floor is a not suitable option. Aspecta Tilt & Tones with ISOCORE Technology integrates the new DropLock 400™ technology brings installation design flexibility previously unavailable on multilayer floating floors. DropLock 400™ enables a corner-to-corner installation of 24 x 24 Tilt and Tone square tiles to create a more traditional tile installation or to install a checkerboard pattern using 2 or more colors for more design flexibility. The fold down locking technology of DropLock 400™ facilitates a fast floating-floor installation, thereby reducing costs. Aspecta Tilt & Tones features a durable, heavy commercial 22 mil wear layer. Aspecta Tilt & Tones in dry back construction has an overall gauge of 2.5mm, while the ISOCORE version has a 7.0mm overall gauge. Both versions are backed by a 25-year non-prorated commercial warranty. ASPECTA Tilt & Tones will feature Declare and JUST labels as well as Health Product Declarations (HPDs) and Environmental Product Declarations (EPDs). All sustainability, transparency, technical specifications and biophilic design information will be available at aspectaflooring.com upon the launch of Aspecta Tilt & Tones in March 2019. Aspecta® has published our first product-specific Environmental Product Declarations (EPD) on the entire portfolio of the Aspecta® family of products (Aspecta® One, Five and Ten). This is an important accomplishment and one worth pursuing for many reasons. For one, these EPDs further our Company’s commitment to transparency at all levels. We have fully embraced the idea of disclosing our product ingredients thru both Declare and the HPD Collaborative; we were the first flooring manufacturer to obtain a JUST label for our China factory, so it simply made sense for us to begin the journey of publishing EPDs for our products. Industries across the globe are striving to become more sustainable in all aspects of the manufacturing process and we are no exception. EPDs help us to become much more aware of our own processes and allow us to share that information to the marketplace in one concise document, a marketplace which is becoming increasingly interested in the full extent of a product's environmental impact. How can we truly reduce our environmental impact if we don’t know what our impacts are? Working closely with our consultant, WAP Sustainability, this effort helped us to define our baseline and identify our hotspots. Looking into the future this will help us to truly think about environmental impacts and how minor changes can potentially make a big impact. Aspecta® is a global brand so we wanted to ensure that these EPDs were created following rules that are recognized globally. This started with following ISO 14040/44 for our Life Cycle Assessments (LCA) and EN 15804 for our EPDs. Both standards are seen throughout the globe as the protocols for completing LCAs and EPDs. Additionally, we elected to utilize a unique mutual recognition program between UL Environment and IBU. This approach allowed us to create a globally accepted document for a true global brand. We are currently in the process of translating these EPDs into German where they will be made available on the IBU (https://ibu-epd.com/en/) website in the near future. This marks the beginning of our journey into the world of EPDs with more to come in the future. 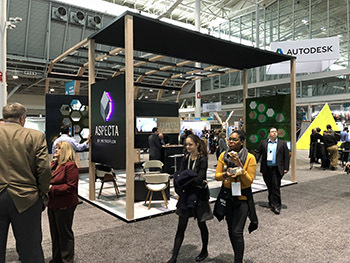 Aspecta invites you to take a deep dive into Biophilic Design as you visit aspectaflooring.com and explore how this emerging design discipline is reflected in products throughout the entire Aspecta portfolio of commercial LVT floors. We think you will find it educational and allow you to view the design of the built environment from an entirely new perspective. The concept of biophilia was introduced and hypothesized by Edward O. Wilson in his 1984 book “Biophilia” and further popularized by the late Stephen R. Kellert. The basis of Biophilic Design is founded upon the innate desire of humans to be connected with nature, and evidence shows that there are resulting psychological and physiological effects that support healing, learning, cognitive skills, and creativity. In the business world there are tangible positive benefits that impact the bottom line including improvements in staff retention, job performance, job satisfaction and reduction of absenteeism, use of sick days, and workplace stress and violence. In general, employees are simply happier at work when elements and patterns of biophilia are incorporated into the design of their workspace. Our journey into the realm of Biophilic Design began in December of 2016 when our Rochelle Routman, Metroflor's Chief Sustainability Officer introduced us to Sonja Bochart (pictured at right), a principal at Shepley + Bullfinch, and a leading advocate and expert in biophilia. Since then, Sonja has been our teacher and guide as we immerse our Aspecta brands and products, as well as our human assets, me included, into biophilia and Biophilic Design. 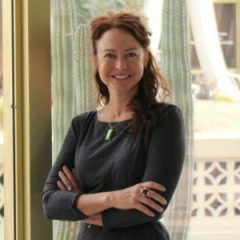 With Sonja’s help, Aspecta is on the leading edge of advocating Biophilic Design in not only LVT flooring, but the flooring industry at large. Our trade show exhibits have been thoroughly influenced by biophilia at Neocon, Greenbuild (pictured left), and GlobalShop, and will be evident in our spaces at HD Expo and at Neocon 2018. Earlier this year we released a CEU course, “Biophilic Design and Resilient Flooring”. Aspecta reps and our distributor reps can be scheduled to present the CEU on site by making a request on aspectaflooring.com. The CEU can also be taken online at AEC Daily. The hunger for information on Biophilic Design is evident by the 500+ professionals who have taken the CEU either in person or online in less than 3 months since the CEU was released. And most recently, we have infused Biophilic Design into the Aspecta story on aspectaflooring.com. Throughout the site you will find the influence of biophilia. Explore the Biophilic Design page where you can learn about the 7 elements of Biophilic Design and and the multitude of associated Biophilic Design patterns. Here we identify and detail the elements and patterns reflected in the designs of Aspecta products. As you navigate our product pages, you’ll find the biophilic elements and patterns that are identified for each product. For those looking for products with specific biophilic elements or patterns, you can drill down and pin point those products using the site’s product filter. At Aspecta we are taking a leadership position the flooring industry in promoting Biophilic Design. 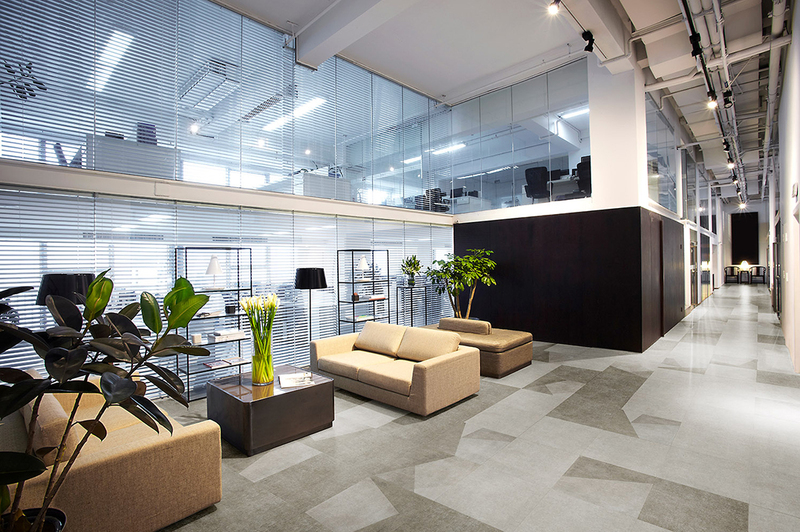 No other flooring manufacturer has embraced Biophilic Design in the same manner, or provided the design community with the tools to specify flooring using the elements and patterns of Biophilic Design as top level criteria. Our immersion in to this exciting discipline truly lays product authority claim for Aspecta as “THE Biophilic Design Specialists”.